Pruning tomatoes give rise to more anxiety among gardeners than any other aspect of growing tomatoes. Although there are certainly some techniques you can use to prune tomatoes, in all honesty, pruning is largely a matter of personal preference. I've seen gardens with vigorous sprawling plants that produce large vine-ripe tomatoes bursting with flavor, while other gardeners prefer well-manicured tomato plants. Whether you prune your tomatoes depends on whether you grow determinate or indeterminate varieties, the amount of space available for growing, and how you stake your tomatoes. Do all tomatoes require pruning? The quick answer is "no". Tomatoes do not require pruning, but you should know that without pruning, indeterminate tomatoes reach heights of 6 feet or more and sprawl to several feet in each direction. Gardeners typically stake and prune these massive plants to encourage large tomatoes, control growth and to prevent disease. What's the difference between pruning and pinching? Pruning and pinching tomatoes are basically the same as the both involve pinching new leaves or shoots between the thumb and finger to remove undesirable growth. While pinching can be used on young seedlings to encourage dense, compact growth, pruning typically refers to pinching out suckers to prevent them from developing into large fruit-producing stems. Suckers appear around the base of the main stalk of the tomato plant and in the fork formed where branches meet the main stem. These shoots grow quickly, producing abundant foliage and set fruit. Pruning these suckers by pinching them out as soon as they appear reduces the size of the plant and forces nutrients to the main stem. 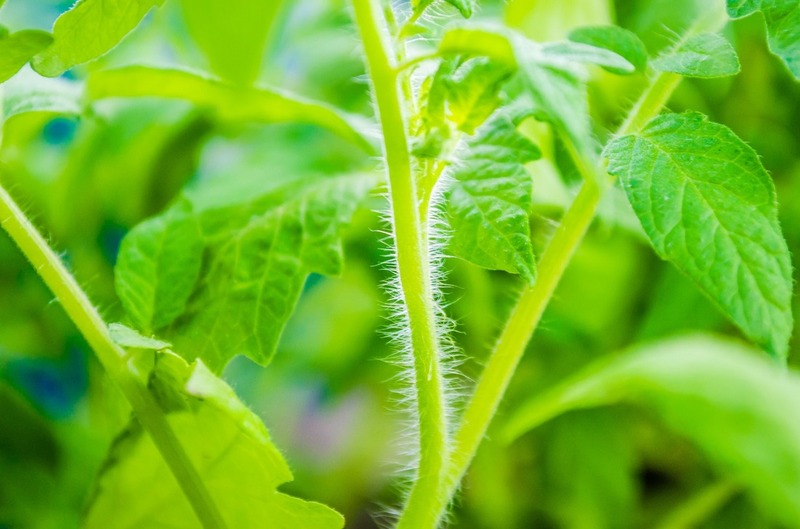 Many believe this produces the best tomato plants as it keeps the plant from becoming overgrown, provides room for growing and increases air circulation around your tomato plants reducing the chance of disease. Others claim removing the suckers reduces the yield of tomatoes. When should I prune my tomatoes? Begin pruning tomatoes as soon as the first suckers appear. Check plants often as new suckers form quickly and can grow to large branches before your notice. Prune the ends of overgrown branches any time to maintain size and shape of the plant. Pruning in the cool of the morning is preferred as the plant experiences less stress. Should I remove blossoms when I prune? Indeterminate tomatoes continue to grow and bloom until frost, but blooms that appear late in the season (August for us northern gardeners) do not have time to produce fruit before the frost. Prune away late blooms as they appear. This forces the tomato plant to concentrate on the existing fruit instead of wasting its energy on fruit that likely will not mature. Some obvious advantages of pruning tomatoes are that it reduces the risk of disease by allowing adequate air circulation, often produces bigger tomatoes and makes caring for your plants easier. But, whether you choose to prune your tomatoes is up to you. Some gardeners prefer to allow plants to grow naturally and enjoy the abundance of tomatoes these plants produce, while others prefer to remove some suckers while allowing others to grow. There is no right or wrong way to prune tomatoes, although many avid gardeners may try to tell you otherwise.